This puppy is too cute! Some of us just stand out from the rest of those in our family. And that goes for humans and animals alike. Take this adorable Husky puppy from Russia for example. While his brothers and sisters are fast asleep in dreamland, this poor little pup seems to be discontent. Apparently, this little pup isn’t cut out for life in a litter. He’s looking for something more. Apparently, this little Husky wants to be a Wookiee. It seems as though this little pup wants to grow up to be just like his idol Chewbacca one of the most famous Wookiees, which are an intelligent species of bipeds from the planet Kashyyyk in the Star Wars Universe. Wookies are known to be taller, stronger, and hairier than humans and other humanoid species. The funny thing is Chewbacca was based on a dog. George Lucas’ Alaskan Malamute named Indiana was the inspiration for the character, according to Wookieepedia, The Star Wars Wiki. 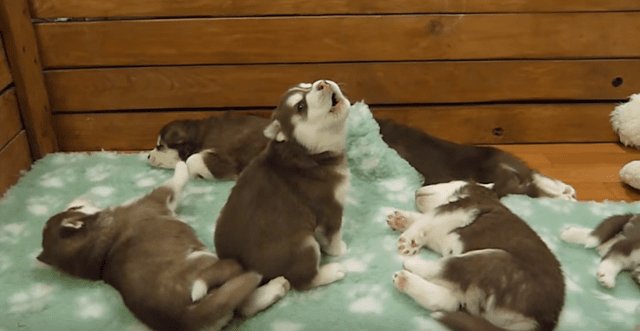 So far, this little Husky has the Wookiee howl down pat. He sounds exactly like his idol Chewbacca when he lets out a howl. Now, all he has to work on standing on two feet. Well, that may or may not be true. 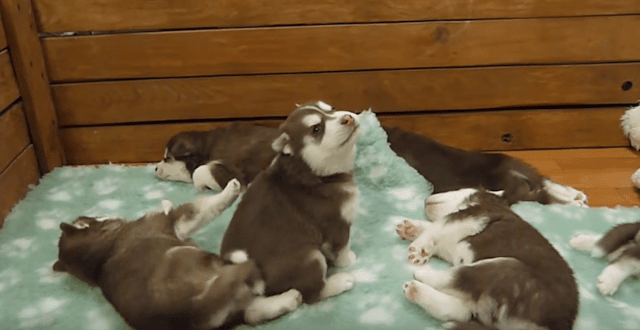 This Husky pup might just be bored, according to Husky Problems. There are also some other reasons that a Husky might howl. “First of all, this is the way that Huskies communicate with each other in the wild. With your Husky being domesticated, you’ve no need to see packs of Huskies running wild near your home and will keep from seeing the pack communicating with your Husky,” the website states. “Still, the howling actions haven’t left your Husky. Either way, this adorable Wookiee-wannabe has stolen the hearts of the internet. 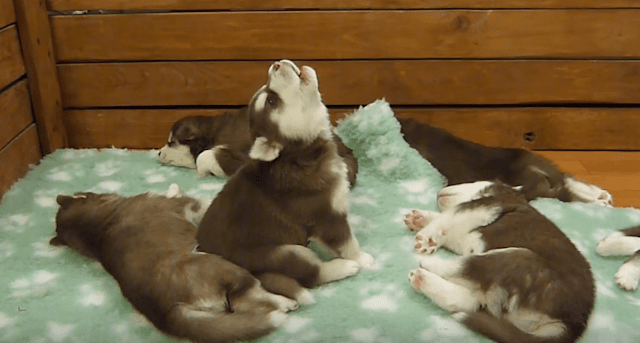 A video of him howling has been viewed more than 375,000 times on YouTube. You can hear this Husky’s perfect and adorable Chewbacca impression in the video below.